As the tables were being told to hold up for hand-for-hand play, a hand was playing on table 29. 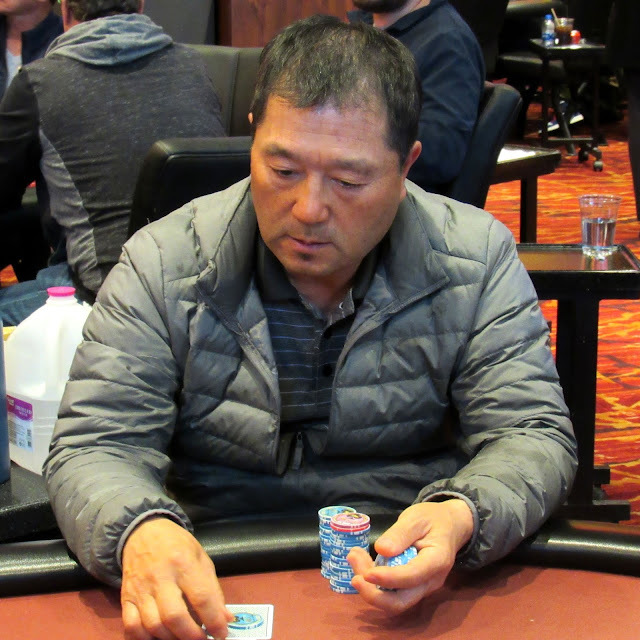 On a two spade flop, Taek Kim was all in with a flush draw vs. Jimmy Zeledon's pair. A spade failed to materialize and Taek is the unfortunate bubble boy. All remaining 55 players are now in the money with a guaranteed $9,600.